M. Night Shyamalan’s Split hit theaters last weekend, receiving outstanding ratings and garnered $40.2 million in the first weekend, clenching the number one spot at the box office. 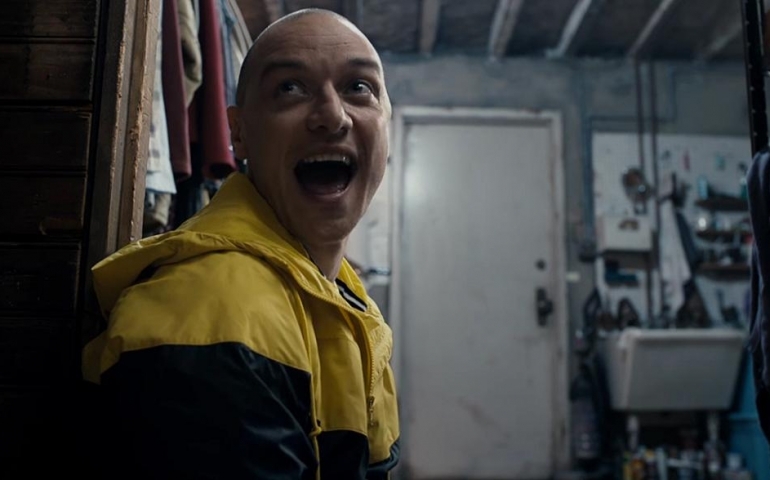 Split tells the story of three high school girls (Anya Taylor-Joy, Haley Lu Richardson, and Jessica Sula) who are unsuspectedly kidnapped by a man with 23 personalities (James McAvoy). In the film, McAvoy’s character, or “the Hoard,” struggles to gain control of the personhood and the girls attempt to get to know the various personalities in order to escape. Meanwhile, the girls are left to battle psychological torment after being told to remove articles of clothing and placed in separate rooms by their kidnapper. Drawing from past painful experiences, Casey (Anya Taylor-Joy) attempts to trick one of McAvoy’s character personalities into helping her escape, but it does not go according to plan. Most known for directing (and starring in) films like “The Sixth Sense,” “Signs,” “Unbreakable,” and “The Last Airbender,” Shyamalan’s reputation precedes him. Split is most similar to Shyamalan’s 2015 film, The Visit, as it does what only Shyamalan can do, which is merge horrifying, thrilling, and chilling elements. Shyamalan’s Split addresses notions of beauty, purity, and the power of overcoming pain and suffering. At a deeper level, the movie asks whether those that endure pain and suffering are the ones that truly live, and if those with disabilities are more-able than those without. If you are looking for a great thriller to see with some friends this week then this is definitely the movie for you. IMDb and Rotten Tomatoes seem to agree giving Split a 7.6/10 and 75% approval rating.